Minneapolis-based grocery chain Supervalu (SVU) became a super value on the market Wednesday – in a bad way – when it reported a huge miss on its earnings report for its Q1 of FY13. The stock is down more than 35 percent premarket Thursday in the wake of that news and the steps the company is taking to combat its hemorrhaging. For the quarter than ended June 16, Supervalu reported revenue of $10.6 billion, which was $200 million shy of estimates, and the company’s earnings per share (EPS) was listed at 19 cents ($41 million), which was one-half of expected (38 cents). This news is spreading to other grocery chain stocks as well, as Safeway and Kroger are looking down Thursday by modest numbers. This huge miss is badly affecting several hedge funds, including Ron Gutfleish’s Elm Ridge Capital and Chase Coleman’s Tiger Global Management, LLC. These two funds were invested a combined $86 million in the stock, with Elm Ridge increasing its share hold by 25 percent as of the end of March, and Tiger jumping all-in during the first quarter of 2012. In fact, each of the top five hedge fund holdings increased their shareholdings early this year, several by more than 100 percent. Talk about a lead balloon. 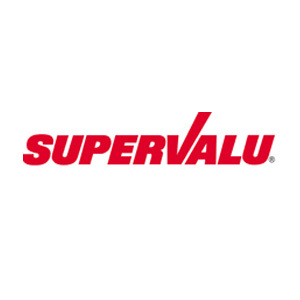 In response to its own report, Supervalu stated that it was suspending its dividend, will consider “deeper” cost savings and “more flexible financing facilities” in order to improve cash flow.